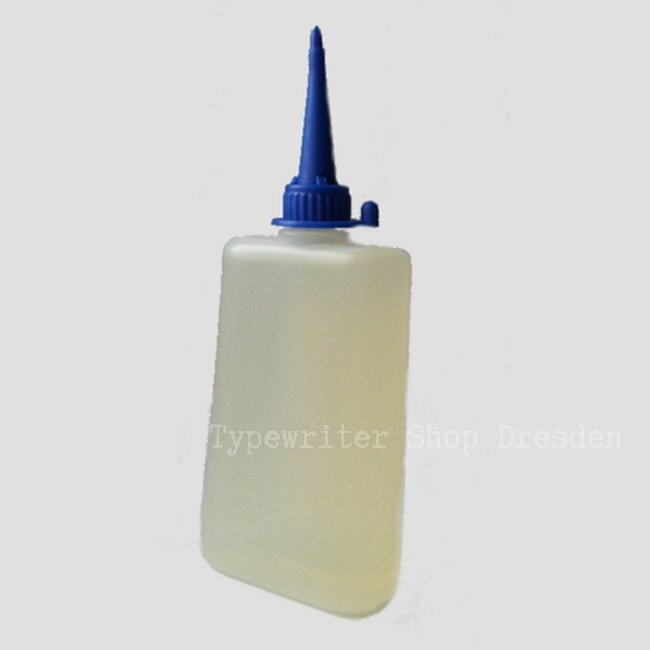 Price: 9,00 € (exclude shipping) – package Size S.
German precion mechanic oil for all stappable connections in your typewriter. It´s acid or resin free (important! ), volume ~ 3,4 oz (100 ml). Kepps your typewriter smoth running for a long time.